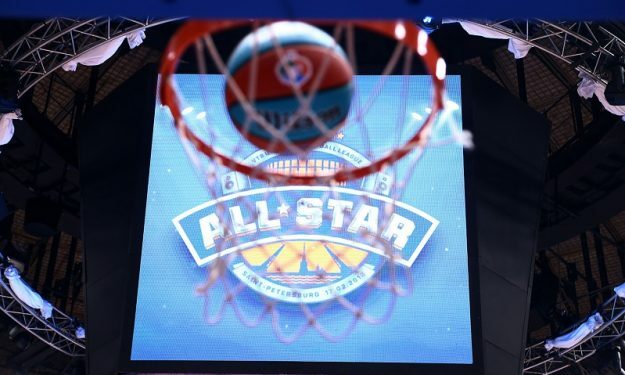 It’s this time of the year again and one of the top domestic leagues in Europe is getting ready for their own All-Star Game, asking Eurohoops to provide a vote. After the fan voting ended, there’s a pool of 66 players, out of which the media will pick the 20 All-Stars. It’s not an easy choice and not team can have more than four All-Stars, two on each team. However, here are the Eurohoops picks which include some of the marquee names of European basketball. In our picks for the Russian stars, most of the players are long time members of the Russian national team that need no introduction. Players like Shved, Karasev, Dima Kulagin, Fridzon, Ponkrashov and Vorontsevich are household names. And including Artem Zabelin is a must since Avtodor is heading towards the playoffs, being on the seventh spot of the standings so far. Denis Zakharov of Enisey as the fan favorite of his team also deserves a spot and Joel Bolomboy of CSKA Moscow, despite not having so far a solid presence in the league seems to have a bright future and deserves a spot. On the World Stars things are much more complicated. Due to the voting restrictions players like Will Clyburn, Kyle Hines, Pierria Henry and Jamel McLean didn’t make the final cut. And that’s why CSKA in our vote gets only one player in the roster in the face of Nando De Colo.
Anthony Clemmons who is having a stelar season with Astana, which is currently fifth in the league, more than deserves to be selected, the Avtodor duo of Anthony Clemmons and Perrin Buford also is stealing the spotlight in the league and nobody can deny the talent of Nizhny Novgorod’s Kendrick Perry. And while Anthony Gill is expected to miss the All-Star Game due to injury, he more than deserves the title of the All-Star.